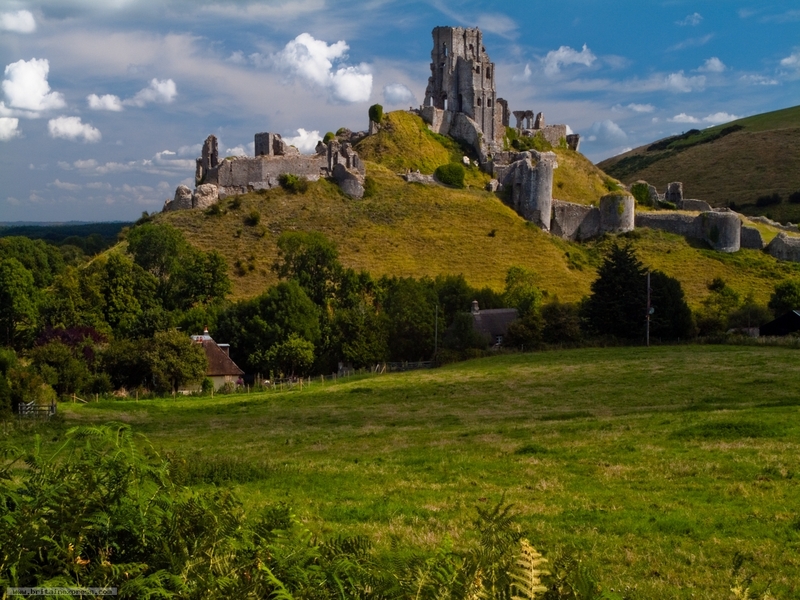 Corfe Castle is both the name of this historic medieval fortress and the Dorset village in which it stands. Its in the Isle of Purbeck, near Swanage. Both the village and castle are well worth a visit, though the village can be a little overwhelmed with tourists at some times. I thought it would look good to get a photo of the castle across the fields, to give a real sense of its size and imposing nature. I wandered across footpaths and explored vantage points for ages before I settled on this view.